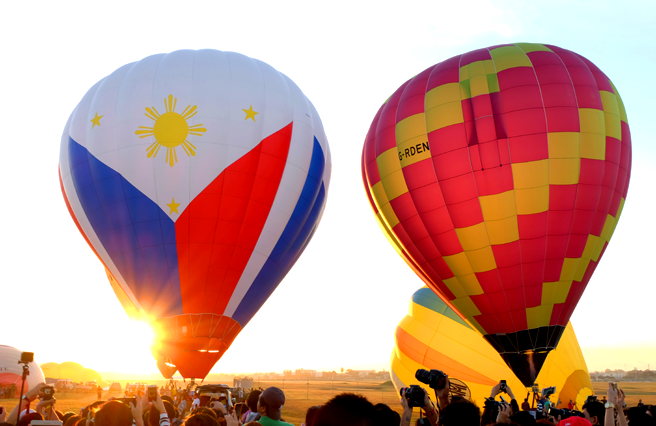 The Philippine International Hot Air Balloon is now one of the popular festivals in the country. It is a celebration about passion for flying. 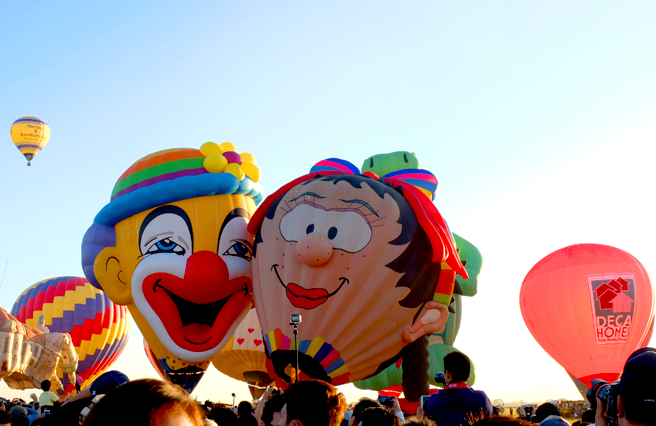 There are sky diving stunts, giant kites, RC planes or real planes doing acrobatic glides, plane exhibits, and of course the highlight which is the big hot air balloons, and many more activities. This kind of event was formed to help boost tourism and self-esteem of the people in Clark, Pamapanga. This also became the gathering of aviators from all over the world where they develop their skills and practice discipline especially for the young pilots. At the same time, sharing of cultures and traditions of visiting pilots can be experienced on this event. One of the reasons on writing this blog is for me to be able to share some of my experiences and at the same time can give you tips when it's your time to attend this festival. How to get there – it’s easy to go to Clark but not when there is an event like this. Expect heavy traffic around the area. It’s recommended to bring your own car or rent a private vehicle. Commuting. Ride a bus at Dagupan bus terminal in Cubao. Then ask the conductor to drop you off to Dau bus terminal in Angeles City, Pampanga. From there, ride a jeepney that will take you the main gate of Clark. And from the main gate, ride a jeepney again going to Hot Air Balloon festival site. The hardest part here is on leaving the festival site to get back to the Dau bus terminal. There are only few public transports passing by in the area and traffic is really heavy. And based from own experience, we had to walk from the event site up to the Clark Main Gate upon going home. Early call time - Leave Manila by 2am or 3am. 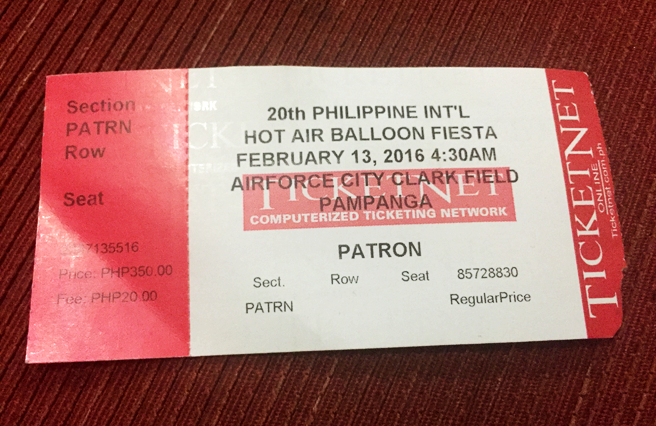 From my first visit, we left Manila around 4am and didn’t get to watch the balloons fly. We were already caught on traffic inside Clark, and got delayed to get to the festival site. So leave the earliest you can. Parking Lots – There are many parking slots around the area especially if you arrived early, but I suggest parking your car outside the entrance gate of the festival ground. You just need to walk few kilometers to the entrance, but this is a good thing when you leave already the place as it would be easy to go out. Event Ticket – You can buy your ticket before going to the event. You can buy it online but there is an additional fee for it. You can also purchase travel packages, at this kind of event there are already lots of travel tours offering tours and packages. Just be sure to choose wisely ;) But you can also just buy your ticket on the event day itself at the gate, I believe tickets don’t get sold out, just be prepared to fall in long lines. Event Schedule – This is a four day- event, and it doesn’t only shows hot air balloons. There are many activities and programs happening on those four days. You can check out this link Event Schedule Hot Air Balloon for updates on the schedule of this yearly event. Spot Location – Another reason to be early on the event is to get a perfect spot as you watch the hot air balloons. Suggested place would be near the fence to get up close to the balloons from setting up to balloons flying. But when all the balloons are up in the air, it is recommended to walk away far from the fence to get a beautiful shot of the balloons flying in the air. You would surely have better photos. Things to bring – Bring your camera (better with other lenses and tripod), umbrella, cap, sunglasses, sunblock (expect heavy sunlight in an open ground), extra shirt, mats (so you can sit and lie on the ground while watching, relaxing, or chilling), or tents if possible, toiletries, water, and food (but food stands will be available on the area). 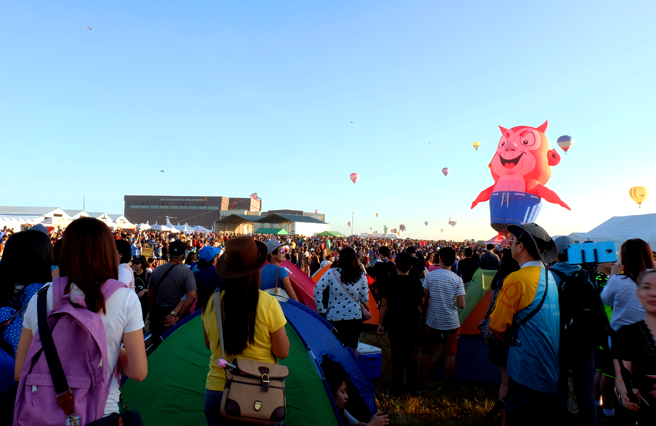 Other things to do – Aside from hot air balloons viewing, there are other air shows you can watch, you can also visit booths with games and freebies, eat, take a photo shoot around, and many more activities. Side trip – If you’re not planning to be on this event the whole day, there are many places to visit around the area. You can go to the mall at SM Clark or Marquee mall. You can have food trip with your friends; there are lots of restos around the area. Buy chocolates or some stuff at Puregold duty free inside Clark. And if you have so much time, you can do side trip to top places in the Philippines like Sandbox, Subic, Nayong Pilipino, famous resorts, Mt. Samat in Bataan (next blog post), and many more. This is a great post! 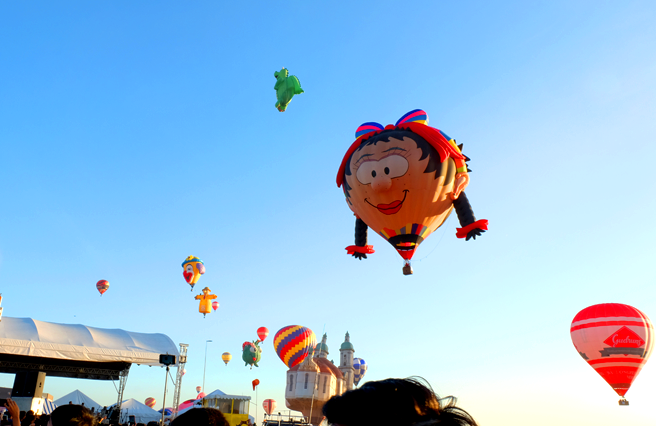 I really love the photos of the hot air balloon festival, Thanks for sharing!